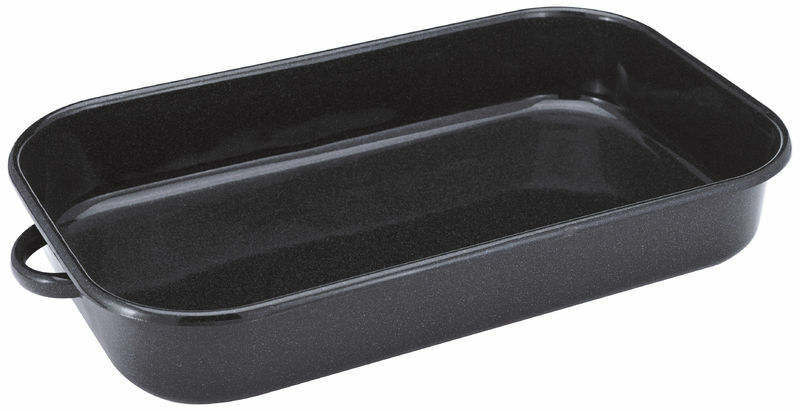 Judge Enamel Rectangular Roaster 32x19cm JS06.These roasters have heavy grade 1.2mm thickness grade steel. They are durable and easy clean vitreous enamelled coating. All round stainless steel pouring lips. Suitable for all hob types. Dishwasher and oven safe up to 240 degrees celcius.